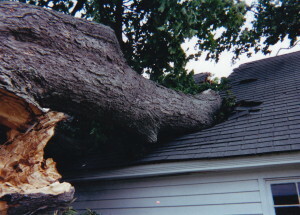 Call A & L Tree Experts for any post storm tree work. We have the experience, expertise, and equipment to handle any situation. Whether its lightning strikes, ice storm damage, high winds, or tropical storms and hurricanes we have the ability to cleanup your storm related work. 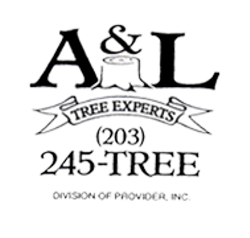 A & L Tree Experts experience ranging from Hurricane Gloria in 1985, the Waterbury/Hamden Tornado in 1989, countless thunderstorms and high wind events, and of course the most recent Tropical Storm Irene. 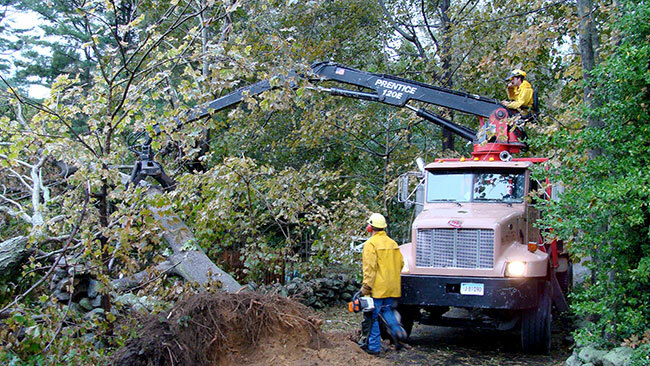 We have taken trees off of homes, garages, cars, driveways, out of pools and off yards. If you don’t think it can be done, call us and we always try to find a way!